In this life-changing experience, Master Life Coaches from the Life Changes Network guide a group workshop that gets attendees to rediscover, rebalance and recalibrate their lives from who they were to who they really are and who they want to BE. Early registration discount ends October 18th. 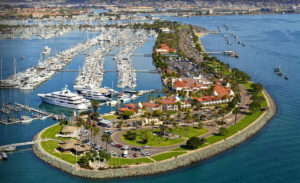 On the heels of the most recent events in Las Vegas and Los Angeles, The Recalibration Weekend Intensive Group Life Coaching Workshop comes to the beautiful Kona Kai Resort & Marina in San Diego. Although there are many “self help” workshops, seminars and webinars that promise to help people change one aspect of their personal or professional lives, The Recalibration™ is unique. Experienced Master Life Coaches work as a team to get every attendee to “dig deep” and piece together like a puzzle past and present jobs, careers, experiences, relationships, etc. and (whether they were considered good, bad, or indifferent) as the puzzle pieces that got them to where they are now. Attendees can then look at their life from a whole different light, fill in the “missing pieces,” and use that as a solid foundation on which to build a future that they want and can achieve, and that only they, through their unique blend of life experiences, circumstances and dreams could desire and create. The Recalibration Workshop creates space for the group to share and help one another see past obstacles, challenges, disappointments and limitations and see them from a new and different perspective – transforming past obstacles into opportunities, challenges into gifts, disappointments into discovery and limitations into liberation. Past participants, many of whom have sought help elsewhere, have not held back on their praise for The Recalibration. Filippo Voltaggio is the creator of The Recalibration™ He and fellow Master Life Coach workshop facilitators, Dorothy Donahue and Mark Laisure are the Founders of the http://lifechangesnetwork.com/ [Life Changes Network __title__ Life Changes Network] which has been airing weekly live interviews with people sharing inspirational life-changing stories on the BBS Radio for over eight years.